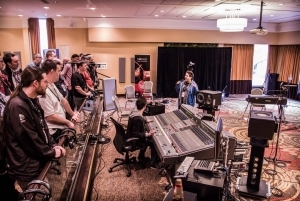 Montreal Audio Show 2015 - Another great year savoured. 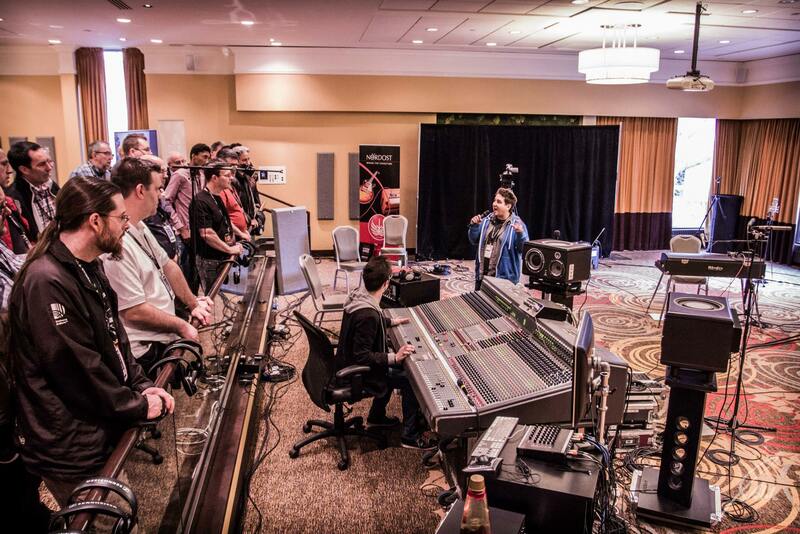 Thanks to absolutely everyone who helped make this year’s Montreal Audio Show another resounding success. Once more we saw a positive increase in age diversity with visitors, complemented by the shows loyal ongoing footfall. First and foremost the essential formula for any show to be successful is stability and once again MAS was hosted at the ‘Bonaventure’ Hotel, with its great variety of rooms and fantastic ambience. Virtually every Exhibitor spoke highly of the overall quality and quantity of visitors, with some leading brands announcing that this was their best show yet! As organisers that’s music to our ears, excuse the pun. Added to that this year we added a brand new feature in the form of the ‘Live Recording Session’ all part of our strategy to ensure this year does not forget its primary roots . . . music and its creation. Every single session was packed out, and the last one enjoying a standing ovation. See you all next year, same venue, same dates, same organisation, and more great additions. Montreal Audio Show (Salon Son & Image) '14 Show Report. Chester Group Exhibitions (USA) LLC, Chester Group Exhibitions (AUST) PTY LTD, Chester GRP Exhibitions (CANADA) LTD, Chester Group (Exhibitions) Ltd, Chester Group (UK) Ltd.